Veracious Rosedale is imbued with serenity and extravagant feel and that is what all you need to live an exciting lifestyle. The project is a bend of classic finish with all the supreme quality features. The designs and the crafting are exclusive and innovative to live a life of fantasies. 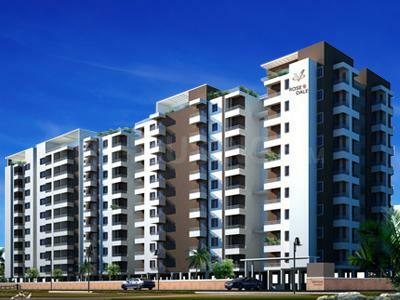 The project has been built up with all modern day amenities and services to live a life of comforts and convenience. The project is spaciously planned with enlarged balconies which gives fresh air and ample of sunlight to comfort your lifestyle. Veracious Rosedale is the perfect place to dwell with your loved ones. Whiteﬁeld in Bangalore is one of the largest technology clusters in South Asia. It follows a lifestyle of ‘walk to work’ with EPIP (Export Promotion Industrial Park) & ITP-B (International Tech Park - Bangalore) in the vicinity. The EPIP is one of the country's first Information Technology Parks and ITP-B houses offices of many IT and ITES companies. The location also enjoys excellent connectivity to the major MNC’s like Hindustan Unilever, Britannia, HP, Cap Gemini, Tata Elxsi, ITPL, Brigade Tech Park, Bhoruka Tech Park and many more. Apart from MG Road in the vicinity, there are two other major four-lane roads that connect Whitefield to Bangalore city. These roads are Whitefield Road via Mahadevapura and Varthur Road via Marathahalli. Both roads intersect with Karnataka State Highway 35 (SH 35) which runs in the North-South direction (Siddlaghatta in the north to Anekal in the south). Moreover, the Container Corporation of India (CONCOR) also has a large Inland Container Depot located just off Whitefield road near ITP-B. The much anticipated Namma Metro Rail Project by the Bangalore Metro Rail Corporation Limited (BMRCL) will soon connect Whitefield with other locations in the city. Various shopping malls like The Forum Value, Phoenix Market City, Park Square Mall and Inorbit Mall exist in the area for your convenience. 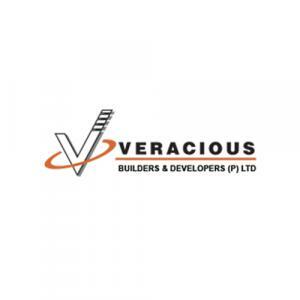 Veracious Builders & Developers (P) LTD is a prestigious name in the Real Estate Industry. With its creative techniques and top notch structural arranging, the Group proceeds to effectively enhance the horizon of South India. Understanding the advanced necessities of a home purchaser, the firm spotlights on making uniquely crafted homes that matches the taste of every one of its clients. Their dedication and drive for success has legitimately helped them gain respect in Realty segment. Abiding by the core values of integrity and trust, Veracious Builders & Developers (P) LTD endeavors to accomplish consumer loyalty by giving careful consideration to vital criterias like quality, on time delivery, safety & environmental concerns.